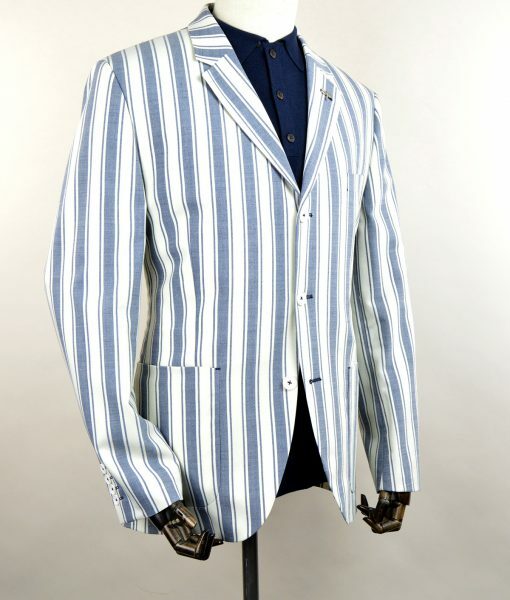 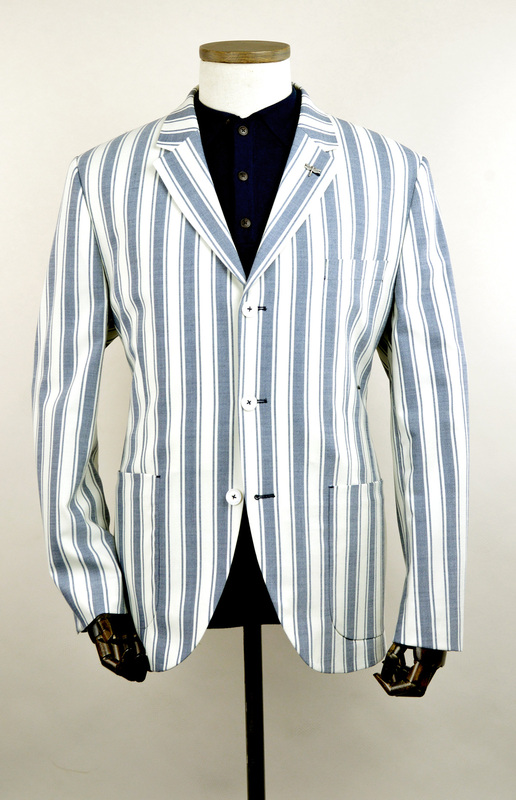 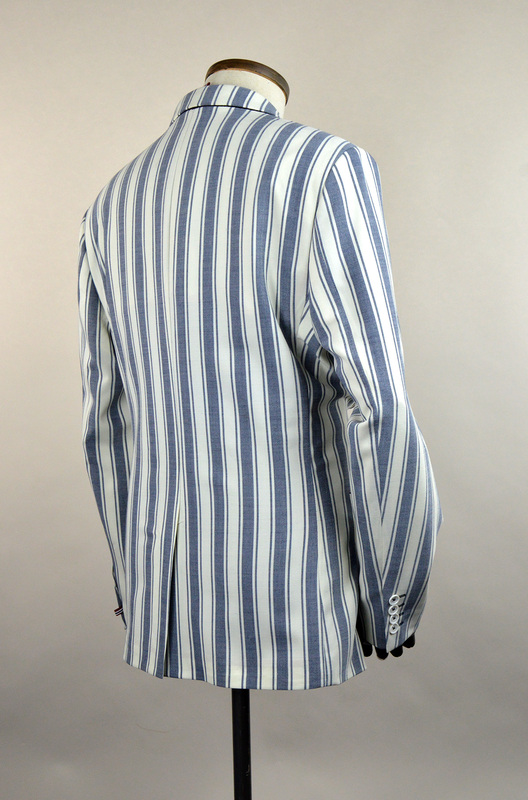 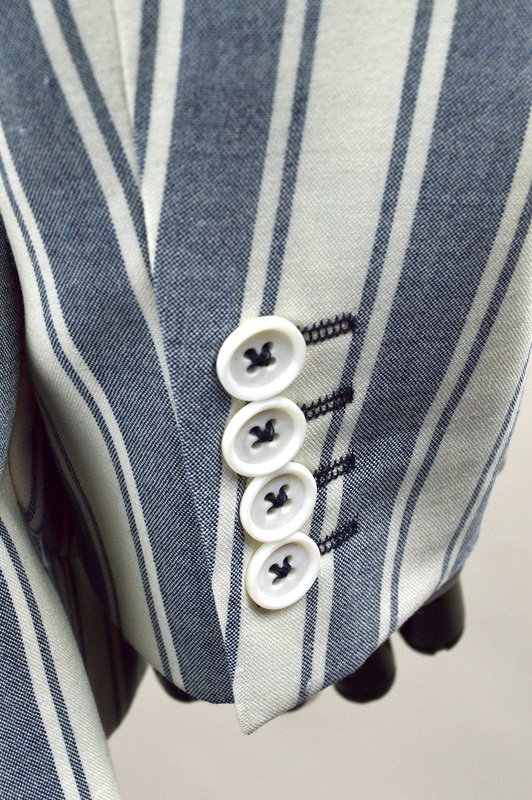 This stunning jacket is the epitome of cool, and the navy and cream double stripe is so vintage in style. 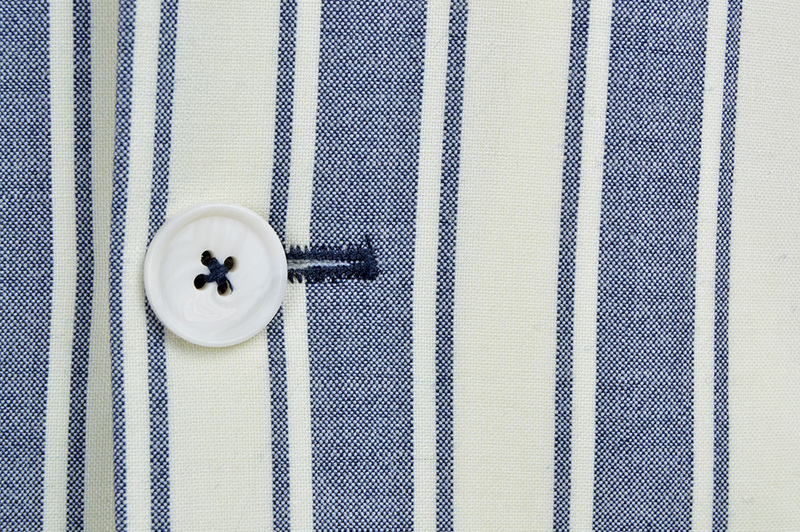 Team up with a simple polo for casual daytime look, or shirt and tie for evening wear. 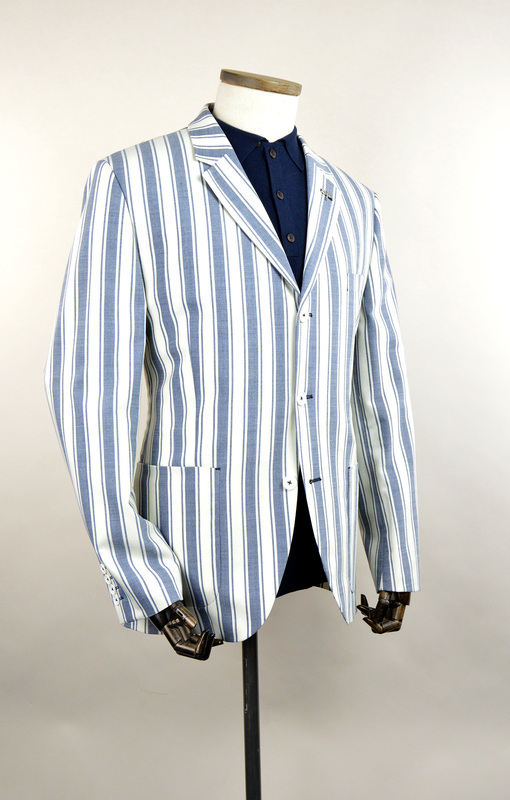 The material is light, and so perfectly suited to Spring and Summer, perhaps for those special ‘days out’ or on your holidays. 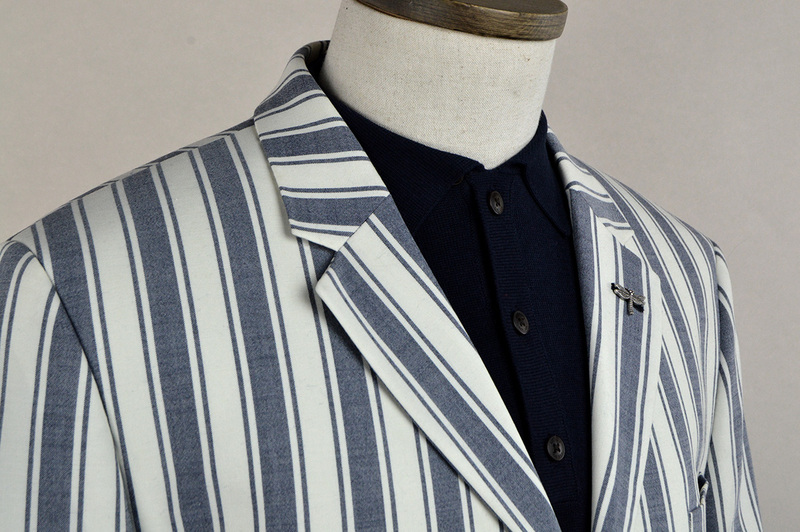 We feel the vibe is very IVY league and we can picture ‘Robert Redford’ or ‘Paul Newman’ wearing this beauty back in the day.